We installed our first mod, added new server settings, are working on shiny stuff for the community and consolidate our growth. A survivor shares his story of waking up on the coast and reminiscing on events that led to his crash on the beach. I had the opportunity to live out every DayZ fan’s dream: I visited Ústí nad Labem in the Czech Republic, otherwise known as “real life Chernarus. A collection of stories from DUG prior to DayZ 1. We made the switch to a self-hosted server, here’s what you should know. Screenshot Artist DrDeSync talks about pictures, the beauty of DayZ and how he all got started. 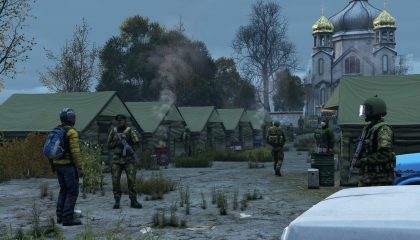 The CDF are a military force who are hoping to bring back normalcy to their beautiful country Chernarus… at any cost. Whether clowns freak you out or not, it’ll be a dangerous freak show when you come across one of DayzUnderground’s strangest groups: “The Carnival”.